As far as I know, I made this up. 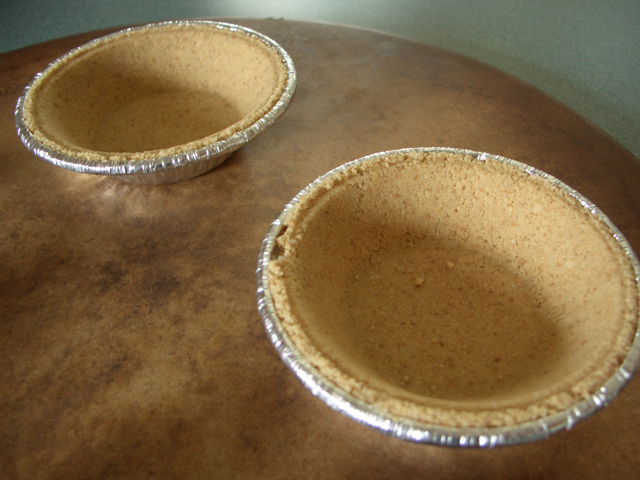 I was baking cookies and decided to put some cookie dough in the bottom of a mini graham cracker pie crust. I baked it and then topped it with ice cream. 1. 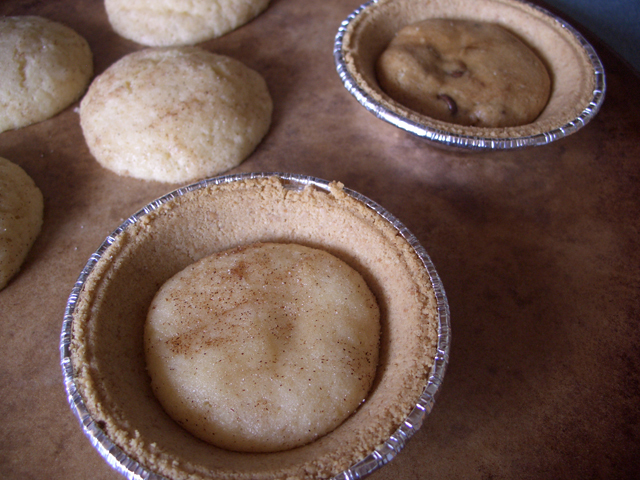 Take mini graham cracker pie crusts (I used Keebler Ready Crust) and press cookie dough into the bottom of each. 2. Bake the crust and cookie dough at 350 degrees for the approximate time that the cookie is supposed to bake. For my cookies it was about 10 minutes. 3. Let it cool a smidge, and then top it with ice cream and any other toppings you want. 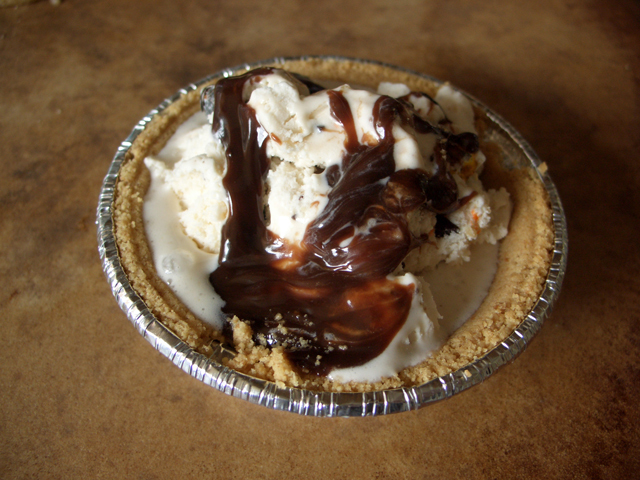 For the chocolate chip cookie pie I used monster cookie ice cream (from Target). The snickerdoodle pie was amazing with strawberry cheesecake ice cream (also from Target). 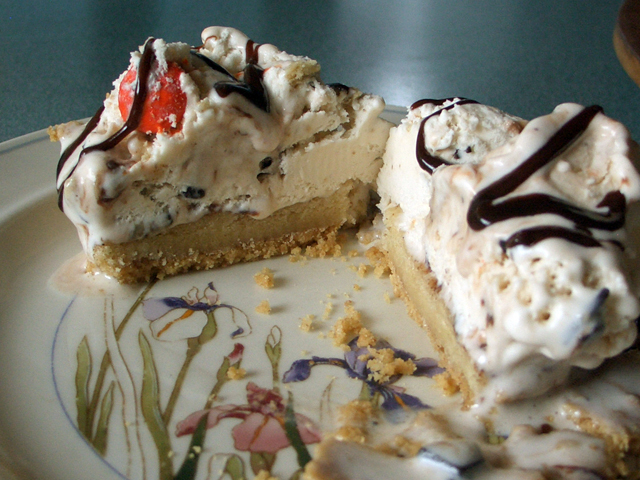 This is the snickerdoodle pie cut in half with the monster cookie ice cream. And here’s Carissa. 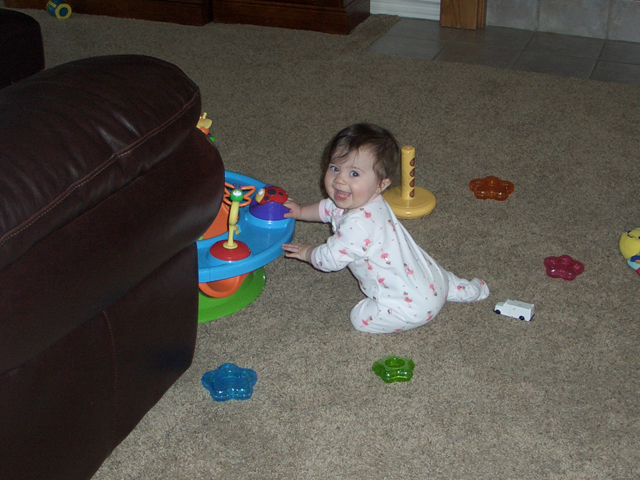 I was trying to get a shot of her pulling herself up onto her knees to play, but she wouldn’t cooperate. 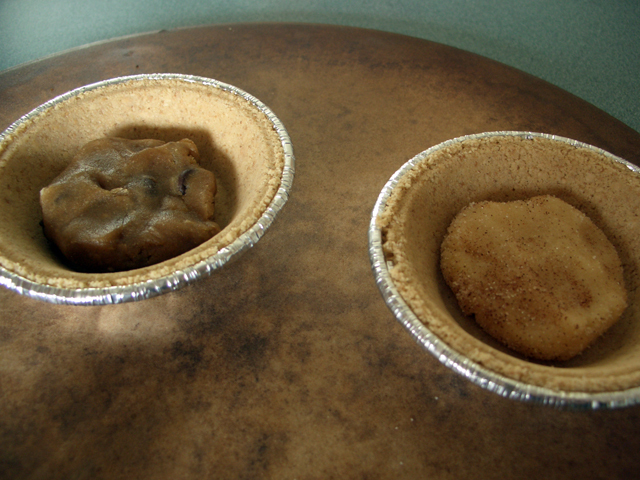 Um….Wow…Those little mini cookie pies are incredible! Time to open up your own little shop, Shan. You could call it “Shanni’s Shoppe” and it could have the incredible edibles on one side and crazy zumba on the other. Just remember that I was your inspiration on that idea, okay? 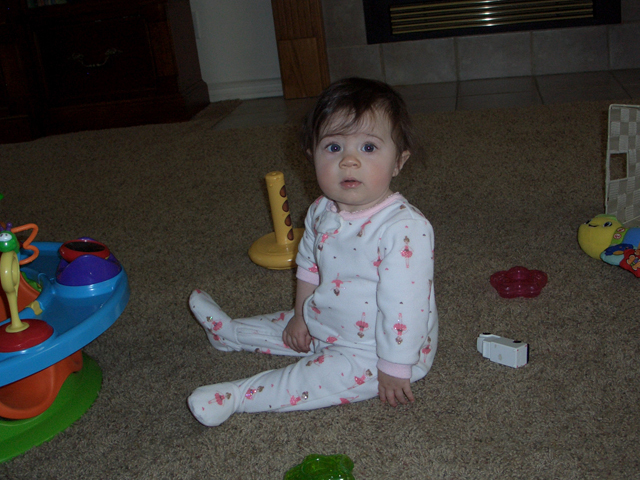 And….to think that by the time I see Carissa gain she’ll probably be CRAWLING!! She is, like, on the brink….it’s like waiting for a big premier….she sure knows how to make for the suspense. Of course, with those big blue eyes, those long eye lashes, and that adorable smile, she’s a real contender for the Best Beautiful Baby award. hmmmm…..Springville COULD use a bakery…..
Those look amazing! What an awesome idea, Shannon!